Kvothe is a name most people have come to know. He is a boy with powers beyond reason. So when a collector of stories stumbles upon him in an Inn, he can’t help himself and asks if he can get the real story of Kvothe Kingkiller. Kvothe agrees and begins a tale of love and loss, hardship an friendship. Wow! This is storytelling at its finest! 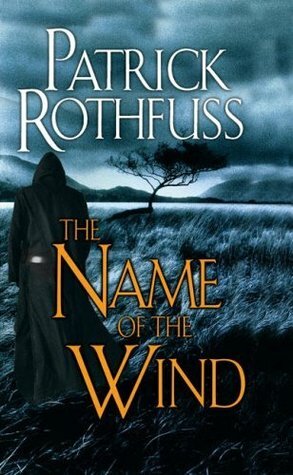 Kvothe, the main character is also the narrator. He takes you on a journey through his crazy life and you are instantly sucked in. “Go out in the early days of winter, after the first cold snap of the season. Find a pool of water with a sheet of ice across the top, still fresh and new and clear as glass. Near the shore the ice will hold you. Slide out farther. Farther. Eventually you’ll find the place where the surface just barely bears your weight. There you will feel what I felt. The ice splinters under your feet. Look down and you can see the white cracks darting through the ice like mad, elaborate spiderwebs. It is perfectly silent, but you can feel the sudden sharp vibrations through the bottoms of your feet. This book takes you on a journey of three women who come from different backgrounds but find themselves on the same journey. Sintara, the dragon, has emerged from her cacoon and spreads her wings to take flight only to realize her wings are not what they should be and she will never take flight. With her Dragon memories mostly intact, she quickly realizes there is something wrong with most of the dragons that hatched alongside her. After making a pact with the locals to be coddled and kept, Tintaglia the Queen Dragon abandons her and the others. Thymara, one of the Rain Wild children knows what it means to be an outsider. All of her life that’s all she’s ever been. Her father should have just left her to die as a child but couldn’t bring himself to abandon his daughter, no matter how disfigured. Now, she is having trouble trying to find her place in the world. That is until an offer comes to her to accompany the disfigured dragons in their removal from the Rain Wilds. She can’t wait to take the opportunity to prove to herself that she can be somebody, that she can do something for herself. Alise, a Traders daughter, has matured past marrying age. She is aware that she will more than likely be a spinster and has decided to devote herself to her studies, mainly those of dragons and Elderlings. That is until Hest, one of the most eligible bachelors in her city of Bingtown, comes calling on her. She is confused by his sudden interest but goes along with it for a while. When finally she confronts him about his motives, he tells her his plan to be happy without the chaos a marriage would cause him and proposes they marry for appearances sake rather than for any sort of mutual feeling. She is unsure until he tosses in the fact that he will allow her to pursue her studies and even help her to obtain rare materials to further her knowledge. Now, after years of a lackluster marriage, she is ready to take Hest up on his promise of allowing her to study the dragons and informs him she will be making the journey to see them for herself. Upon arriving she finds that the dragons will be leaving and she has to decide to follow them or go back home to her sham of a marriage. This book is the first in the Rain Wilds series but the 10th in the Elderling novels. Being a newbie to the fantasy genre, I feel like I have stumbled into the most amazing find in my life. I love this genre. On that note… I LOVE this book! Now, I am aware that many people who are fans of Robin Hobb do not like this series. They believe it is below her talent level. 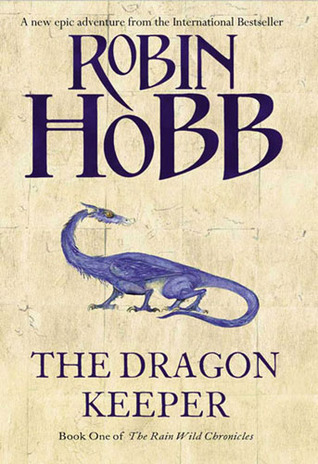 With this novel being my introduction to Robin Hobb, I just have to say I cannot wait to read whatever else she has put out previously or whatever comes next.